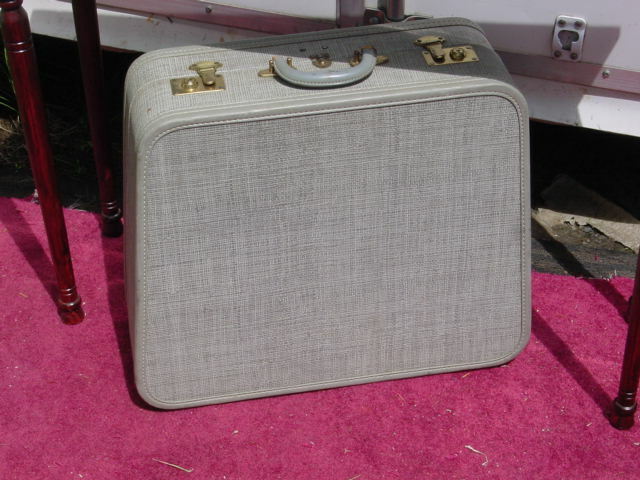 This is such a great SHAPED twill suitcase. LOVE it! There was a matching one that I really wanted, but the lock was broken and try as I may, I could NOT get it to open, so I had to pass on it. Will probably leave this one ‘as is’ and work on getting some smaller black and gray ones to create a whole stack. 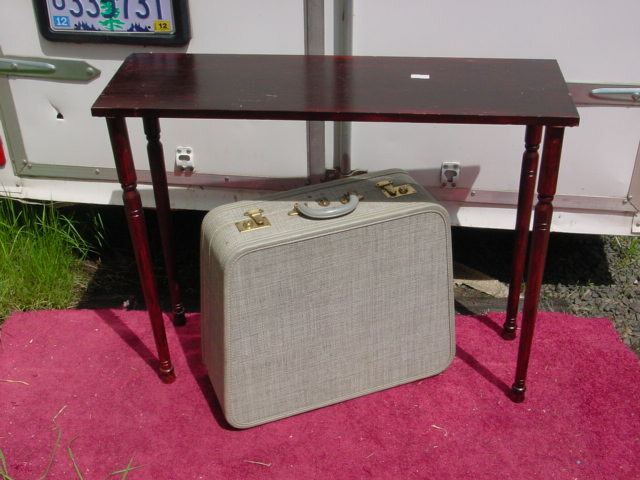 The sofa back table was pretty quick to spruce up. Sanded the top real good (to take off all the SHINE!) and painted it a flat black base-court. spray painted the legs with flat black. 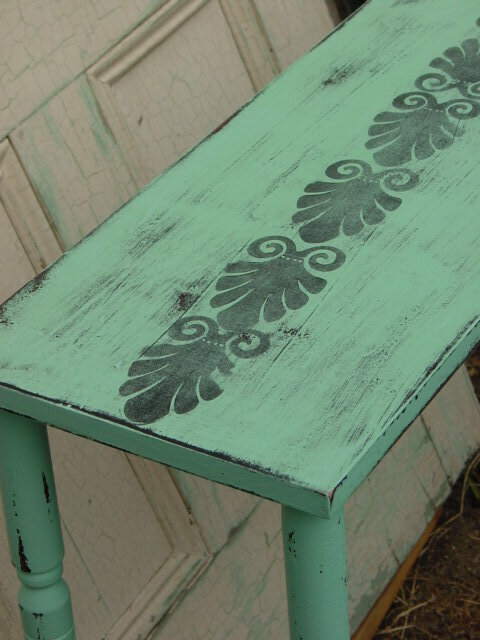 Then hand painted the whole thing my signature color of beachy blue. 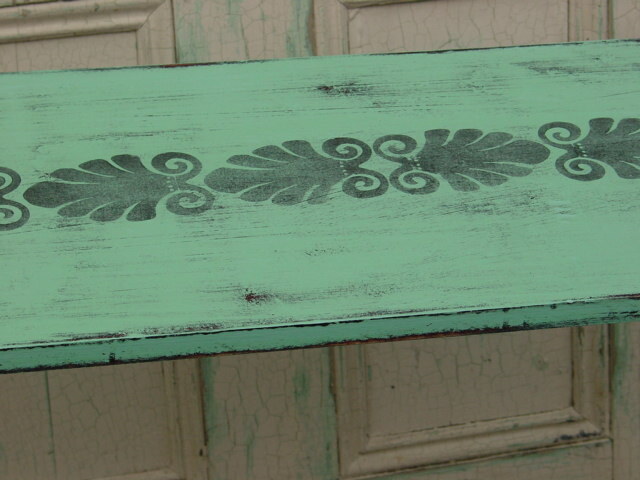 Sanded to distress a bit; then used a decorative sponge stamp for the design. A wee bit more sanding to mute the center design a bit; then two good coats of a water based matte varnish. 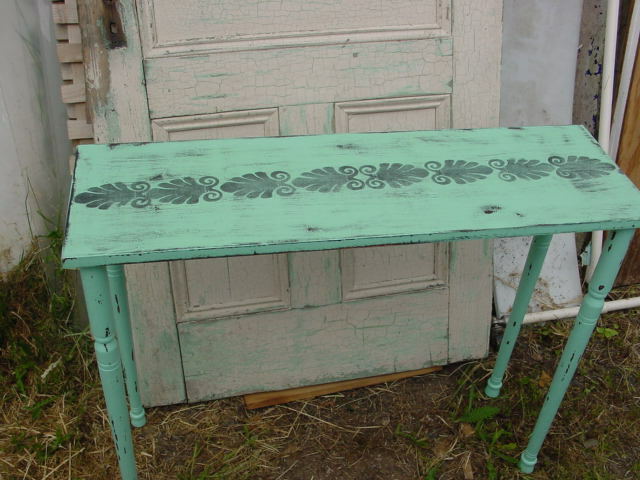 It’s currently stashed away with the other beachy blue stuff; until the next big booth re-do.